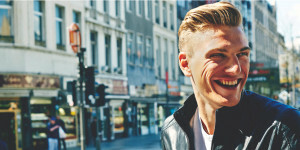 A change from the engineering department to the marketing department earlier this year has give Damon Rinard a renewed focus. Now, instead of explaining the latest product developments with team riders he’s telling regular cyclists what the brand is all about. 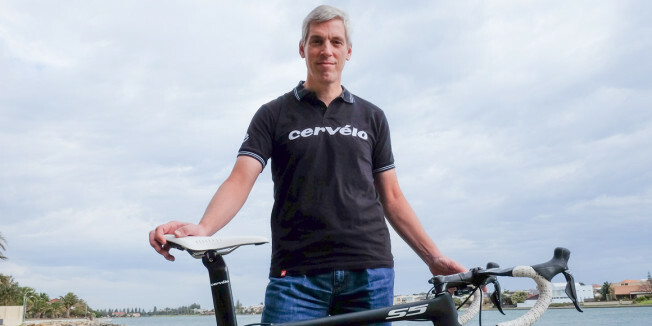 We sat down with Cervelo’s Senior Cycling Technologist to find out what makes the new S5 so good. 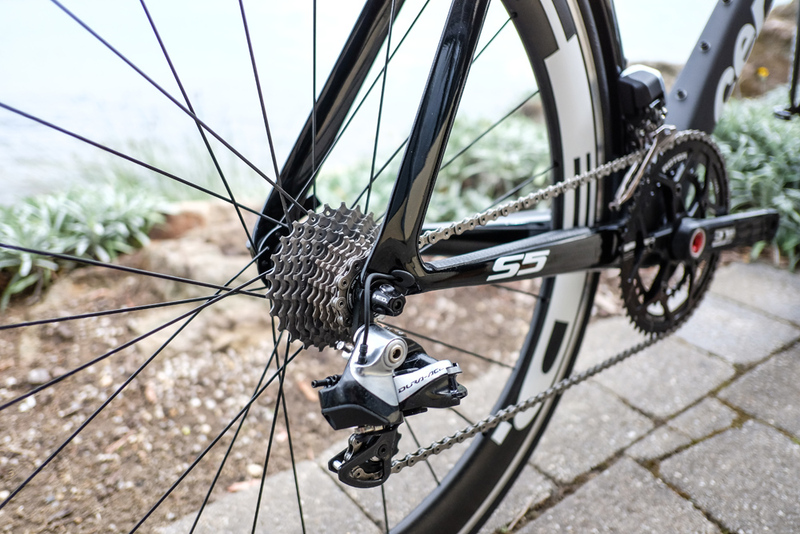 Cyclist: How did the new S5 come about? Damon: There’s always a team that designs product. There’s a lot of good guys and especially so with the S5.  I remember the original S5 (released in 2011) and S5 VWD still is the fastest bike Tour magazine has ever tested. That’s objectively, through the wind tunnel, not just ‘feels fastest’. We were really happy with the performance of the original S5 but there were 31 things we wanted to improve. We made a list and then went about checking them all off. And here it is [pointing to bike]. C: Some of those changes are no doubt significant but what about the smaller details that perhaps only a keen eye would pick up? D: A couple of the very small things: the seat post binder – the wedge that sits inside the frame. On the old one if you pulled the seat post out the wedge could fall inside the frame. On the new one we put two grooves with matching shapes on the frame so if you pull the post out it stays in place. Where the fork nests inside the down tube, what we call the chin. The front of the fork would touch the frame on the old model so we moved the cut further back so it can turn all the way around, like if you were putting the bike in the back of the car. C: From the small things to the more significant, what are some of the biggest improvements in the frame alone? D: The biggest change is the 35 percent increase in torsional stiffness. To make a bike stiffer it’s easy to make it oversized. 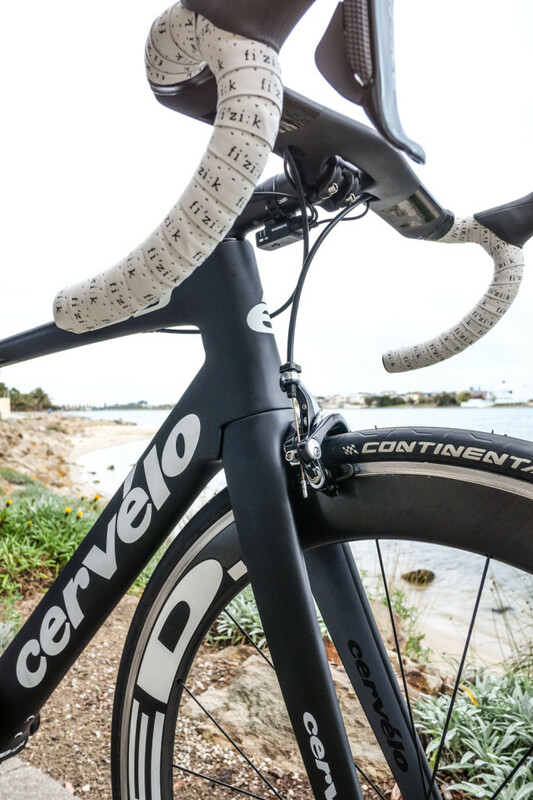 When we were developing the S5 we kept the down tube narrow to keep it aerodynamic. Since then we’ve learned the down tube can be a little bit wider. Especially when you consider the front brake sets the aerodynamic width of the flow across the front brake. That comes from our development with the P5. With that in mind, we took into account the air flow around the front brake which called for a wider fork and wider down tube and head tube. The whole area bulked up which is free stiffness. It’s stiffer and lighter when you go oversized (with the tubing) and in this case it also helped with aerodynamics. C: What are two things that you were particularly pleased to see in the latest S5? D: It fits 25c tyres. The biggest 25c tyre we measured was 27.8mm but we can’t say it fits a bigger tyre because a 28c may measure 30mm. What’s interesting is that 22c tyres are faster. The aerodynamic penalties for a wider tyre are generally outweighs the benefits of a larger tyre in terms of rolling resistance. The total resistance of a tyre is the rolling resistance plus aero resistance. That total is what you really want for going faster. It’s the front wheel that really matters, the back wheel isn’t so crucial. 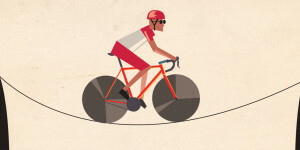 C: The handlebar is pretty different to most other offerings, but we’re guessing it’s also a UCI complaint? D: It doesn’t contravene any UCI regulations. We sent them the handlebar and they said ‘it looks good’. We decided to work on the handlebar after doing some CFD analysis on the drag force on different points of the bike – including the rider. We broke down the drag force and put it into a pie chart. The biggest slice was the handlebar including brake levers – 30 percent comes from the handlebar. 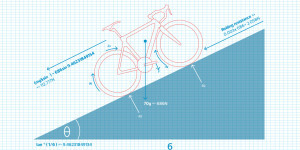 The 30 percent is the contribution to the bike only but with the rider present in the test. Of course, the rider is about 70-80 percent of the drag force. It was pretty straight forward to do. The drops are nice and ergonomic, the tops are flat and comfortable but also a wing. We did some analyses on the stem but we didn’t use an aero stem because whilst it was more aerodynamic, we found it interacted with the rider too much. So it’s actually faster with this stem. The improvement is 4.4 watts at 40km/h. That is the smallest improvement we found from testing a bunch of different aero bars. C: You don’t normally fit ‘race’ wheels to your bikes, but the new S5 really seems to be the complete package. Why the change? D: We knew the S5 was the fastest aerodynamic frame and we wanted to supply a bike out of the box that could be tested against anything else out there. We used to just supply a nice pair of training wheels assuming the buyer would have his own race wheels. Steve Hed is an aero pioneer. He was building and testing wheels in the wind tunnel before Cervelo existed. The latest Jet 60 Plus rim has gone from 23mm wide to 25mm. The rim together with the tyre is a lot closer to a wing shape. The maximum thichkness of a wing is typically about 30 percent back from leading edge so together with a 25mm brake track you can use a 23 or 22mm tyre and get really close to the shape of wing. It improves aerodynamics a lot. 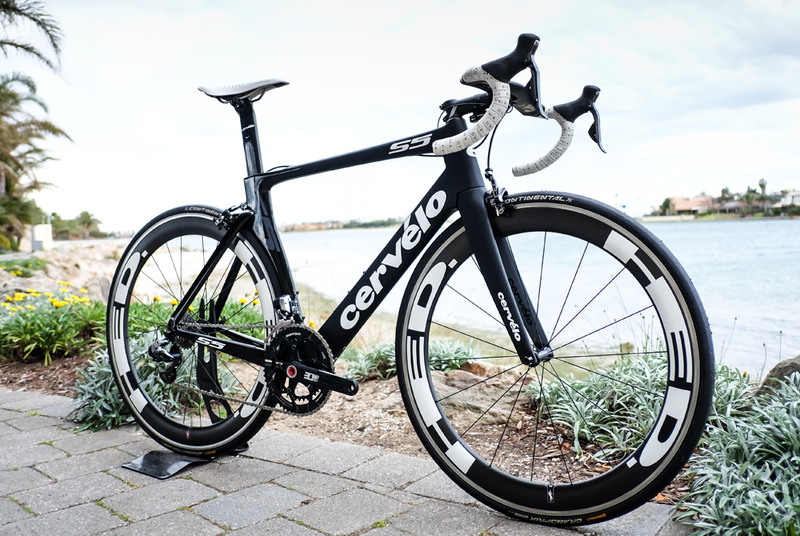 Stay tuned for a full review of the Cervelo S5 in an upcoming edition of Cyclist. 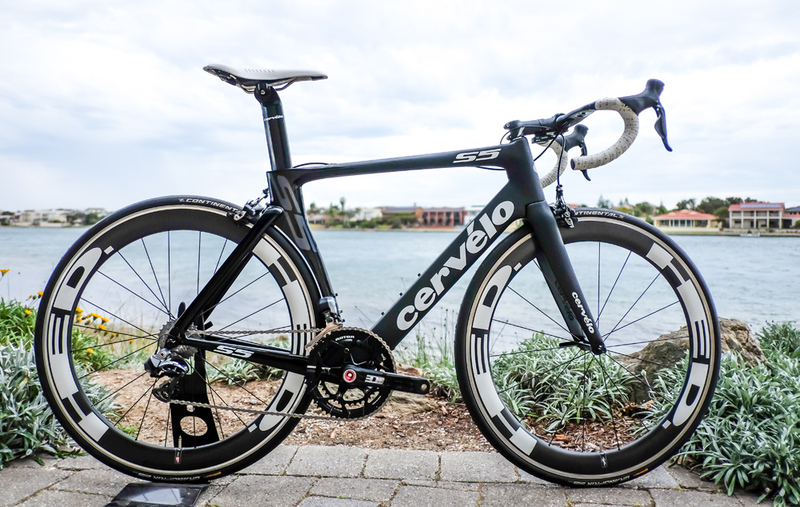 In the meantime however, head over to Cervelo to find out more about the latest incarnation.